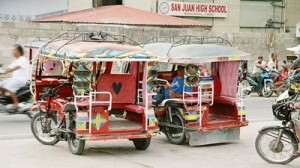 Moalboal is a small town on the South Coast of Cebu Island approx 90 km south from Cebu City. 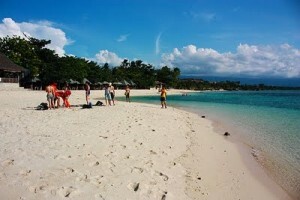 Extending as a peninsula in the Southwestern tip of Cebu, Moalboal is bordered to the west by the Tañon Strait. 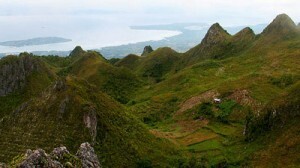 From the western shoreline, the island of Negros can be seen. Moalboal has become a tourist spot, due to the discovery of Pescador Island, which offers some of South East Asia’s best diving. In the town of Moalboal the Public Fish & Meat Market is a place worth visiting, as is the Orchid Gallery, where beautiful orchids are grown for sale in the Philippines The surrounding barangays (villages), have much to offer. Panagsama Beach in Basdiot is where the dive shops, restaurants, bars and Maya’s Native Garden is located. With many resorts, rooms, bars, disco, restaurants and dive shops, the original sleepy little fishing village has become a nice place where locals and foreigners interact and have fun together. White Beach in Savedra, Basdako, is a beautiful beach, with clear water, very laid back and an excellent place to go for s bbq picnic, which many Filipinos do on the weekend. The villages in the nearby mountains offer superb mountain- biking, trekking and splendid scenery. Cool & dry season (December to February) – Temperature in daytime is around 32C. Temperatures at night drop to 23 – 25C. There are occasional rain showers. The water is a bit cooler, 26 – 27C. Hot & dry season (March to May) – Temperature in daytime about 32C. It does not cool off very much in the evening; you can expect also 30 – 32C during most of the nights. The water is only a bit cooler, 27 – 29C. It rains very seldom, sometimes not in weeks. Rainy season (June to November) – Temperature in daytime about 32C. Cebu and the Visayas have not a strong rainy season. Usually it’s bright sunshine in the morning and a short but strong and refreshing downpour in the afternoon. After that, sunshine again. Water temperature is 27 – 29C.